← LOG#207. Beck, Zeldovich and maximal acceleration: the vacuum. Black holes and other astrophysical objects are true monsters. Some interesting tools from web pages to learn about these free catalogues: WATCHDOG and BLACKCAT. Also, the blackhole.org page and the sounds of spacetime for gravitational waves are suitable for you. Furthermore, you can enjoy the BH stardate online encyclopedia. Two of the biggest and coolest (literally) black holes are quasars. Their names: OJ 287 and 3C 273. Persistent BH sources do emit X-rays, and they are powerful sources of X-rays in our galaxy (and beyond!). Transient BH events are also studied. Beyond X-rays, you study BH accretion and merging, likely BH growing if you are “lucky” or a true believer. Asteroid with rings. 10199 Chariklo its name. Red storm (Jupiter’s famous biggest spot!). Shape of dark matter (DM). 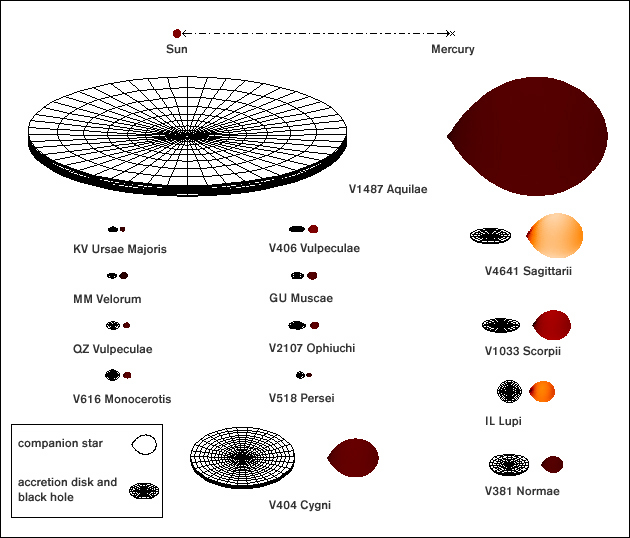 Galaxies with age of billions of years (10 billions or more!). GR bursts and fast radio bursts. Strange structures in the Universe (Multiverse?). The new born gravitational wave astronomy is going to outer space. 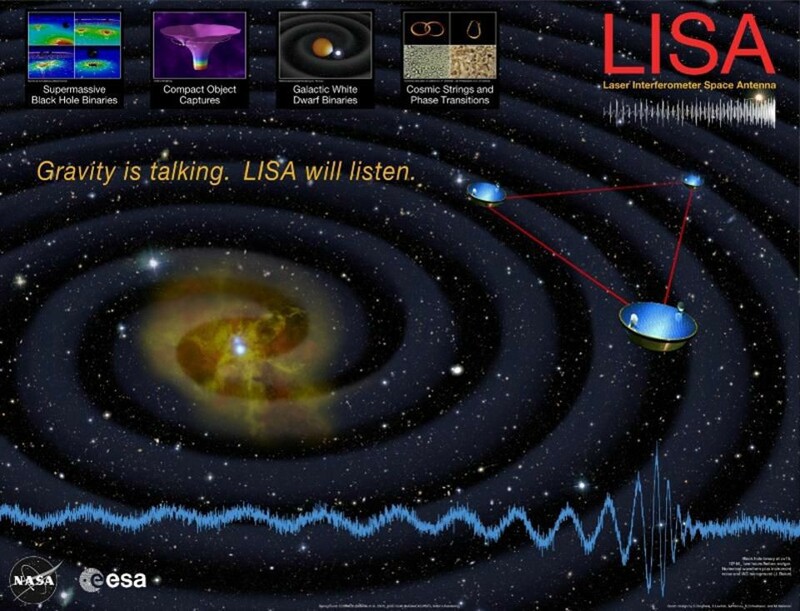 LISA (Laser Interferometer Space Antenna) will study a completely different set of sources beyond the ground based gravitational wave observatories. What are they? 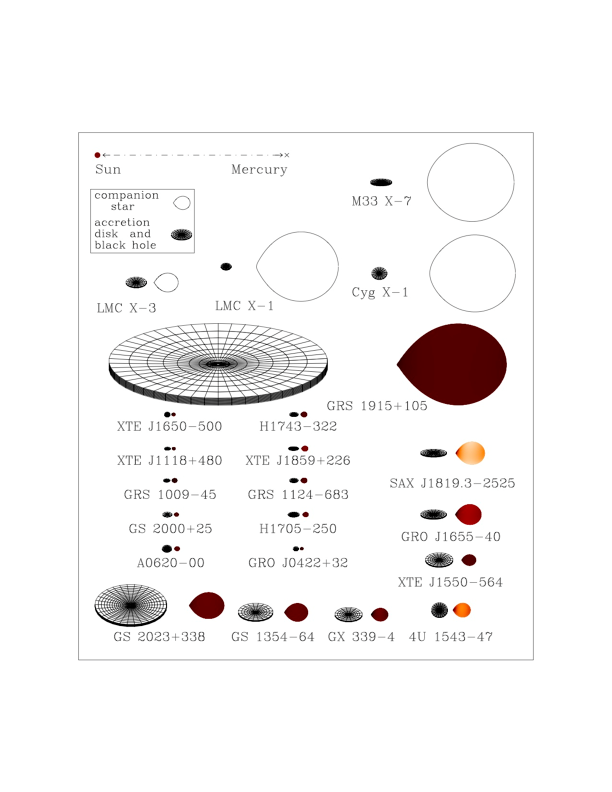 BH+BH mergers (supermassive or even intermediate; EMRI and IMRI are expected to be observed). EMRI=Extreme Mass-Ratio Inspirals. IMRI=Intermediate Mass-Ratio Inspirals. Hubble constant (after 2 years, by binary inspirals, with accuracy of a few per cent). Equation of state of dark energy. 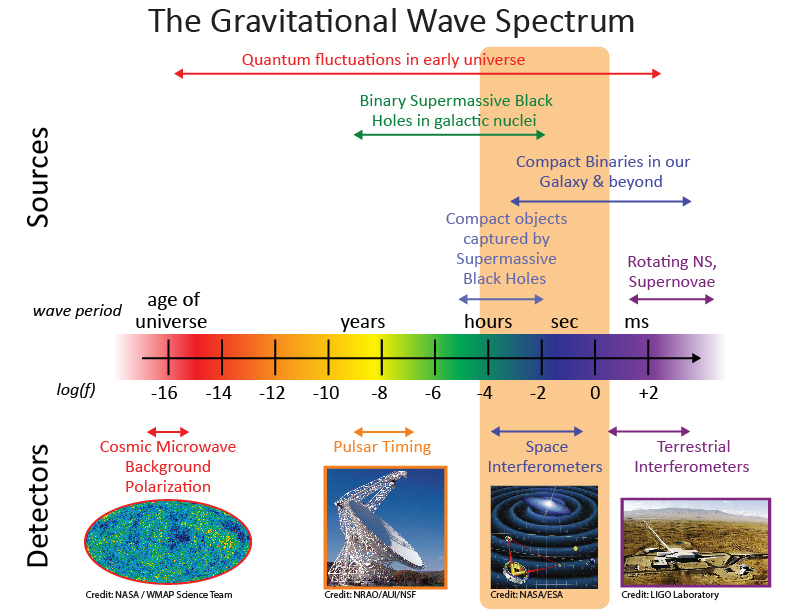 Tests of fundamental physics with gravitational waves. Surprises we have not expected or thought about ;). By the other hand, beyond GW astronomy, some cool experiments are the HAWC water telescope, Cherenkov telescopes (CTA! ), and the AMON network. Primordial BH are interesting objects. In the window they offer the option to be ALL the dark matter. Thus, ground bases observatories could catch on mergers of intermediate black holes if sensitive enough. However, they will catch more easily mergers of tens or hundreds of solar masses. What are the biggest monsters? 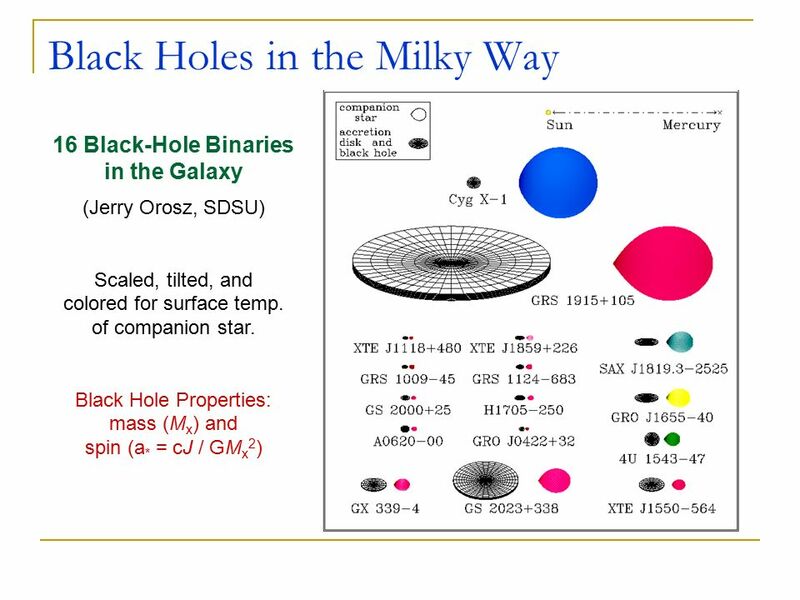 The new created black holes species with more than millions of solar masses: the ultramassive black holes (with more than solar masses). 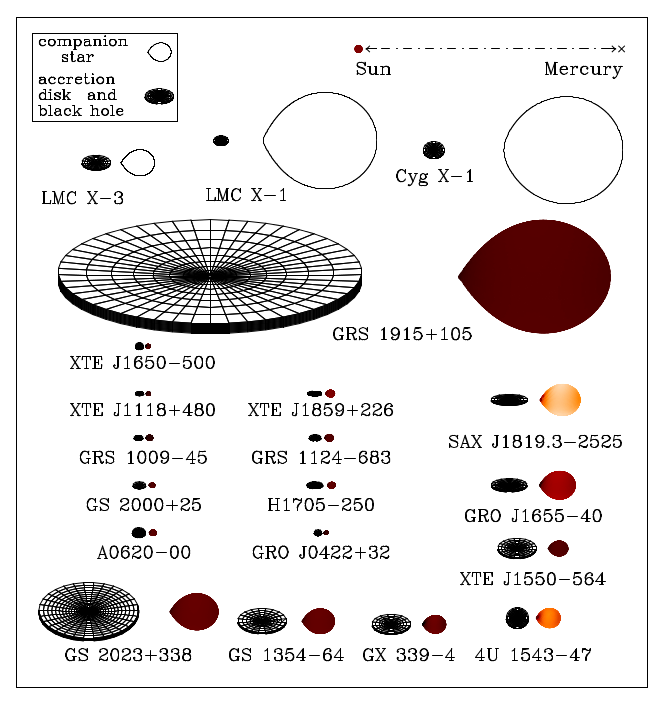 Example: IC 1101, TON 618, NGC 4889, NGC 6166, NGC 1270, and others you can read off from the this wiki-list.